Individual files such as music, photos, video, or working documents, and business files such as financial statement, meeting shedule, client information, or contact, etc, are stored in form of digital version. They are being menaced by any accidents. Hacking, virus, HDD physical damage, and even computer poweroff can crush your data and cause a huge of loss. AOMEI Backupper is a best data protection software that offer backup, restore and clone data function for individuals freely. You can protect your personal data and files with FREE AOMEI Backupper Standard edition. For business data, it has more higher requirements on operation system and functions, We recommend you to use AOMEI Backupper Server or AOMEI Backupper technician-plus. What Can Data Protection Software Do for You? Easaily backup and restore data and files on disk, partition, and system. Safely migrate system [Paid], partition, and disk from one place to another. Allow you to create bootable media, merge image [Paid], compress, and encrypt images. Backup data and files on regular time, and delete obsolete backup images. If you want to backup more than one PC or laptop, you can buy AOMEI Backupper Professonal edition. As a best kind of data backup software, it offers AOMEI Backupper technician edition to allow you to maintain multiple PC or laptop within one company, and offer profitable technical services to others. 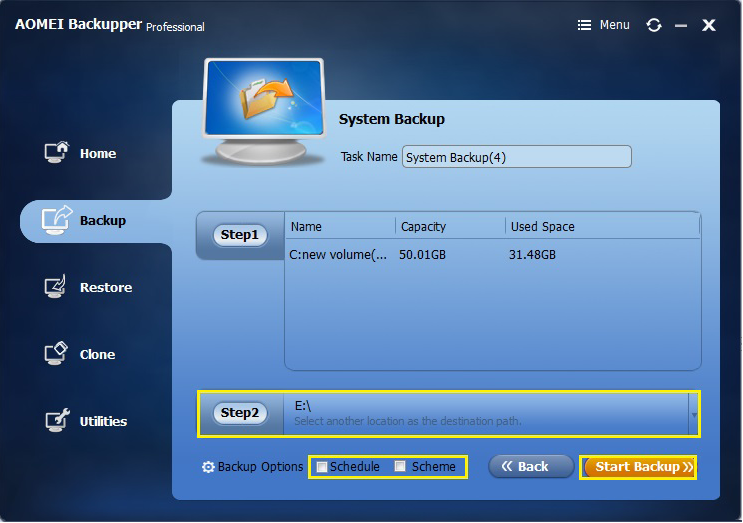 How to Backup System with data protection software? Step 1. 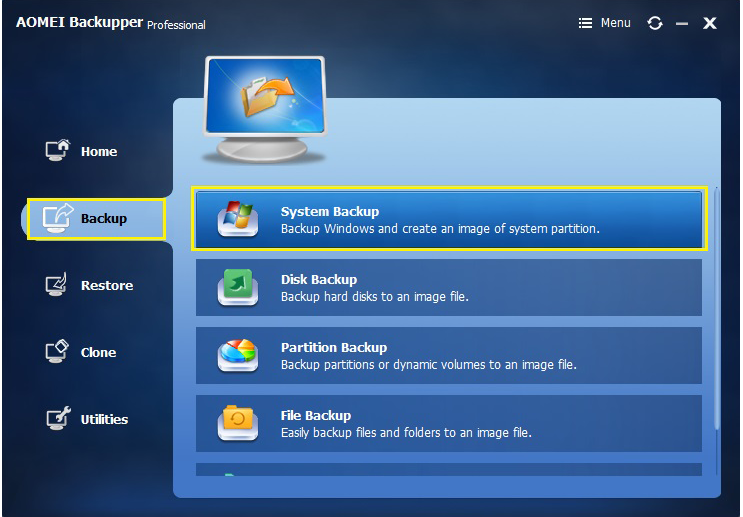 Download or buy AOMEI Backupper, then, choose “System backup” in “Bakcup” option. Step 2. System can be detected and added into software automatically, and click “Step 2” area to add the destination path to store system image. Step 3. 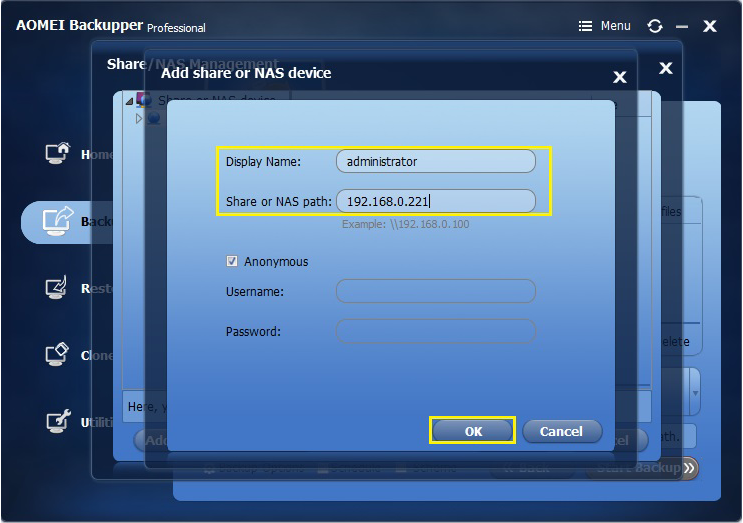 Choose “Step 2”, then choose “This PC” to back up data to local or external disk, or choose “NAS/Share” or other computer. The whole backup progress will be processed automatically. Software can prevent computer from falling asleep when it runs, and tick “on completion shut down PC” to help you shut down PC automatically. Why can’t my computer boot from SSD after using system clone with AOMEI Backupper? You can’t boot computer from SSD that is plug in external USB portal, and you need to plug SSD in internal portal, and set the boot sequence of system. How to unlock the system Clone function?